Wang now faces unheralded Dayana Yastremska in Sunday's final, after the Ukrainian teenager dumped out China's number two Zhang Shuai in the earlier semi-final. 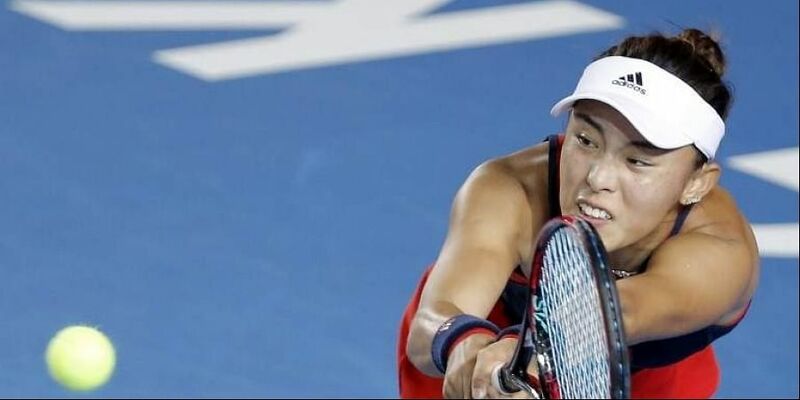 HONG KONG: China'a number one Wang Qiang staged an outstanding comeback Saturday to defeat former Wimbledon champion Garbine Muguruza 6-7 (5/7), 6-4, 7-5 and reach her first Hong Kong Open final. The world number 24 had already seen off Elina Svitolina just hours earlier in a rain-delayed quarterfinal -- Wang's highest-ranked top 10 scalp this year -- despite admitting she had been shaking with nerves ahead of the restarted match. "I had nothing to lose against her -- she's a very good player," Wang said. "I just tried to be more patient and if I had a chance then to go for it." She then clawed her way back from a 1-4 deficit, with Muguruza --appearing exhausted and out of ideas by the end of the match -- losing her final service game with two unforced errors. "I think she played very well especially in the important moments, she came back in the third set playing incredible tennis," the Spanish world number 13 and fourth seed said. The ex-Wimbledon and French Open champion still has two more tournaments to play this season, which she said she was happy with despite her Grand Slam highlight being a semi-final finish at Roland Garros. Wang had earlier needed just 10 minutes to wrap up her victory against world number five and top tournament seed Svitolina, again sealing the 6-2, 6-4 win with an ace. The 26-year-old Chinese was serving for the match at 5-2 in the second set when the heavens opened Friday evening. She said she knew little about the 102-ranked Yastremska, who powered to a 7-5, 6-4 victory over Zhang to reach her first WTA Tour final. The 18-year-old -- who earlier this year became the first player born this millennium to break into the top 100 -- appeared overwhelmed after the win, lying on her back in Centre Court to soak up the cheers of the crowd. "I was nervous from the first ball," Yastremska said. "After match point I fell on the floor because I felt so relaxed, that was my instinct to go and lie because I needed to put it away, the emotions.